Furniture: couch. 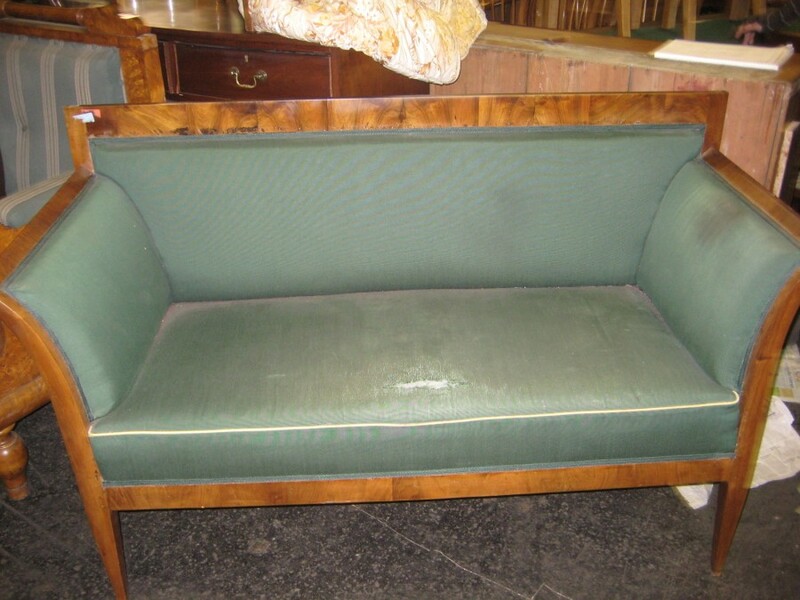 A charming, well-proportioned, light and airy Biedermeier couch (ca. 1830). Work required: the couch had to be completely stripped of the upholstery. The wooden parts were bleached out and cracked and needed complete restoration. 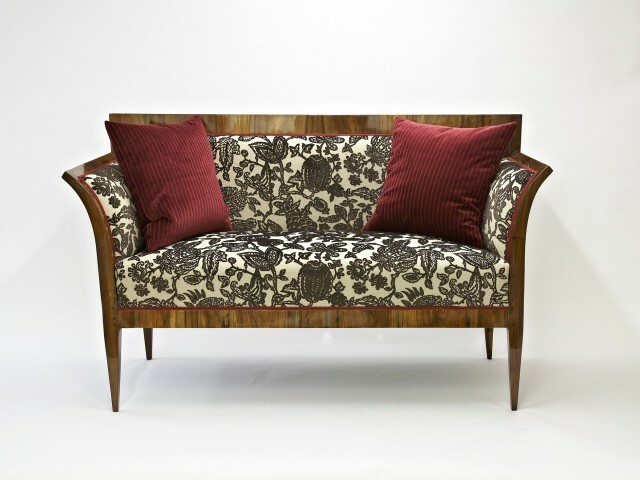 Reupholstering and relining with a wonderfully structured French fabric. It provides a relaxed place to sit with a feeling of security in the Boccaccio Room (la pura). 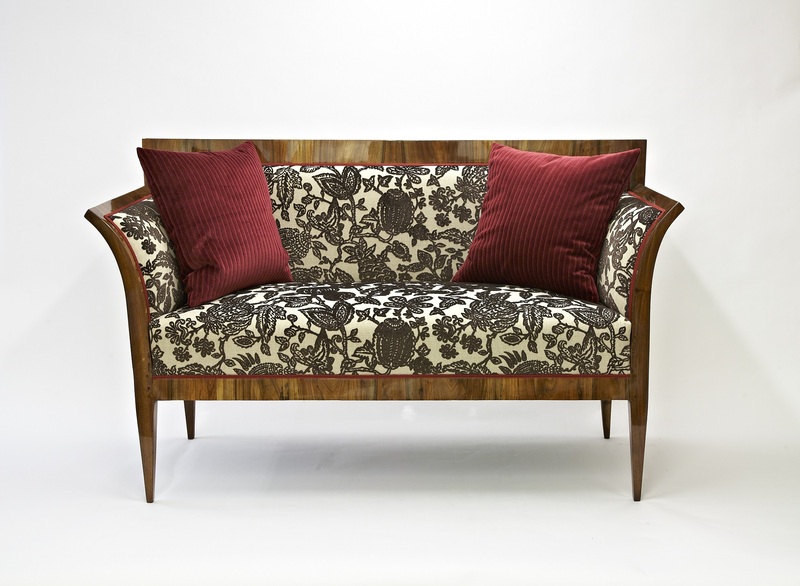 Size: seat width: 153 cm; backrest height: 92 cm; seat height: 48 cm.